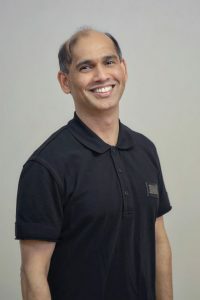 Ron Jegadeesh, is the practice owner, and is a Licensed Physical Therapist, PMA Pilates Certified Teacher, Certified Polestar Pilates Rehabilitation Specialist, STOTT PILATES® Fully certified Instructor, Certified GYROTONIC® and GYROKINESIS® Instructor. With over 20 years of experience in the rehabilitation of numerous orthopedic and neurological diagnoses. He received his Bachelor of Science in Physical Therapy, Bachelor of applied Science in health care management and Master of Business Administration in health care Management. He is an active member of the American Physical Therapy Association (APTA) in Orthopedic and Sports Section. He practices Manual Therapy using Traditional and Alternative methods. As a physical therapist, Ron’s goal is to provide quality treatment, education and motivation with all his clients. Teaching movement and postural reeducation with a comprehensive core and joint stabilization program, Ron is dedicated to enable his clients to understand and work with injuries using Pilates and GYROTONIC® methodology on traditional equipments and the mat. Helping others gain better control of movement in a functional and pain free way to stay physically functional and fit, Ron focuses on a holistic, self-empowered approach to rehabilitation and fitness.